Chemical strengthening, or commonly referred to as chemical tempering, is a glass strengthening method more often used on thin glass (less than 3mm). Advantages of this method include zero optical distortion, increased scratch resistance and impact strength. 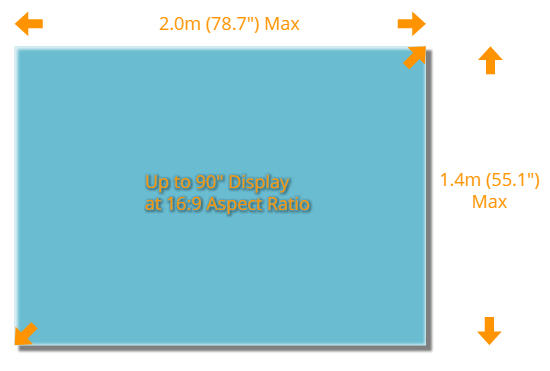 Typical applications include display and cover glass, instrumentation, cameras and lighting. Chemical strengthening is a process that toughens the surface of glass by replacing sodium ions with larger potassium ions. 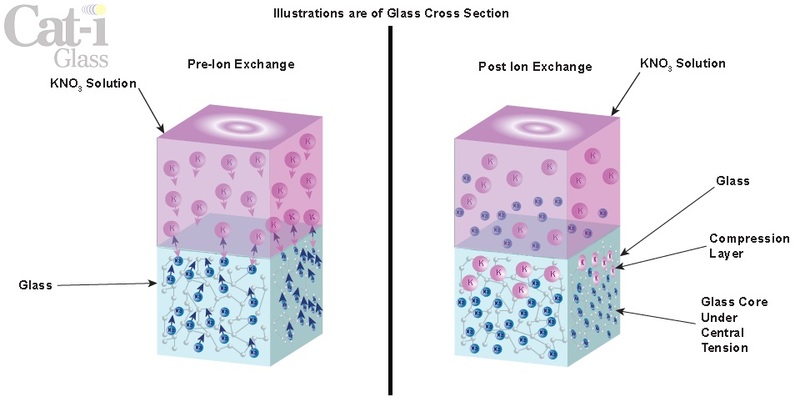 The ion exchange creates a thin layer of high compression on the surface which results in a layer of tension in the center. The process is performed by submerging the glass in a molten salt bath. Time and temperature are process parameters that are finely controlled and monitored to produce desired results. Materials available for chemical strengthening include soda lime and the High Ion Exchange (HIE) glasses like Corning's Gorilla Glass, AGC's Dragon Trail, Schott's Xensation and NEG's Dinorex. HIE glasses are engineered to promote increased sodium/potassium ion exchange resulting in greater strengths not achievable by its soda lime counterpart. HIE glasses are no stronger than soda lime until they are chemically strengthened. There are two parameters that can be optically measured to quantify the net increase in strength of chemically strengthened glass, compressive stress (CS) and depth of layer (DOL). CS has a direct correlation to impact strength while DOL characterizes scratch resistance. Parts are measured non-destructively with our Orihara Surface Stress Meter in final form which allows us to verify and meet your specifications. Contact a Cat-i representative to discuss how these parameters fit into your specific application. In an effort to serve you better, Cat-i is continually focusing on research and improvement of the chemical strengthening process. Through research programs with the University of Illinois and continual internal experimentation, we are able to drive higher yields and greater consistency with our process.